Turn your waste oil into heat! Economy stocks multiple options, accessories and parts. Please give us a call to get pricing on this exciting new addition to the Economy Product Family. The MX Series heaters by Lanair are their most advanced units to date. They combined the latest burner technology with the latest lean manufacturing efficiencies to produce a quality, reliable heater at the lowest price in the industry. Factor in unstable fuel prices and escalating disposal costs and you'll see that purchasing a Lanair MX Series Heater is indeed... "The Right Choice at the Right Time!" The MX-150 Waste Oil Heater is their smallest unit pushing out up to 150,000 BTU's an hour. It features a fine grained galvanized (rust-resistant) cabinet to protect it in most shop environments, a high performance MX series burner that burns more efficient than any other burners to date, an internal fan to reduce excess noise in your shop, adjustable locking louvers to direct air flow, and can be exhausted out the top, back, right, or left. The MX-200 Waste Oil Heater is their second smallest unit pushing out up to 200,000 BTU's an hour. It features a fine grained galvanized (rust-resistant) cabinet to protect it in most shop environments, a high performance MX series burner that burns more efficient than any other burners to date, an internal fan to reduce excess noise in your shop, adjustable locking louvers to direct air flow, and can be exhausted out the top, back, right, or left. 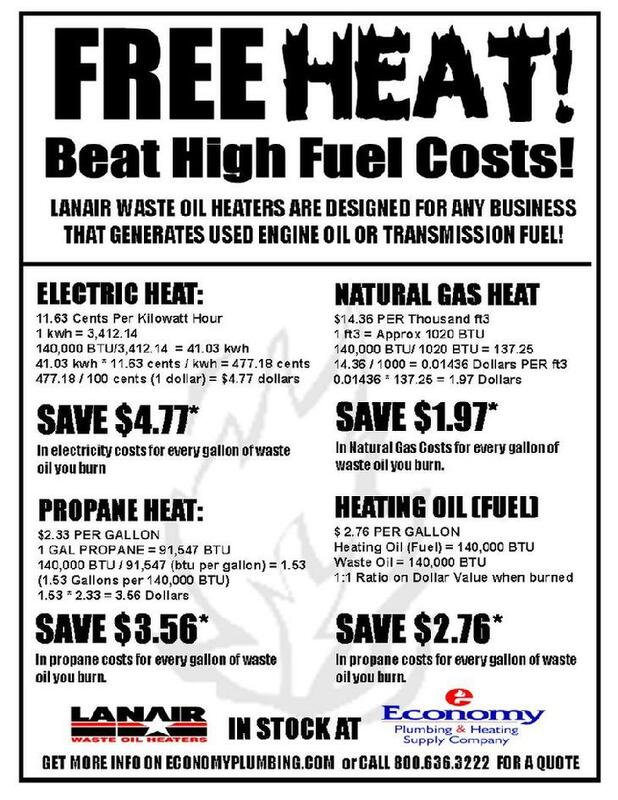 The MX-250 Waste Oil Heater is Lanair's second largest unit pushing out up to 250,000 BTU's an hour. It features a fine grained galvanized (rust-resistant) cabinet to protect it in most shop environments, a high performance MX series burner that burns more efficient than any other burners to date, an internal fan to reduce excess noise in your shop, adjustable locking louvers to direct air flow, and can be exhausted out the top, back, right, or left. The MX-300 Waste Oil Heater is their largest unit pushing out up to 300,000 BTU's an hour. It features a fine grained galvanized (rust-resistant) cabinet to protect it in most shop environments, a high performance MX series burner that burns more efficient than any other burners to date, an internal fan to reduce excess noise in your shop, adjustable locking louvers to direct air flow, and can be exhausted out the top, back, right, or left. All of Lanair units are UL listed so you can be assured that safety is a high priority with all Lanair products. See below for a complete library of specs for the MX Series.